For its recent update, the Google Datally App has received Four new features. The App is aimed at helping people understand, control and save mobile data. We will now look at the Four features and their benefits to users. The first feature is the Guest Mode. When you pass your phone around to friends, you don’t have to worry about how much data they use as this feature set a temporary limit on how much data guests can use. You can change the data allotment and set a password to prevent others from making changes. Secondly, Daily Limit. It allows you set a maximum amount of data usage each day, also notifies you when you get close to your limit and when you reach it. 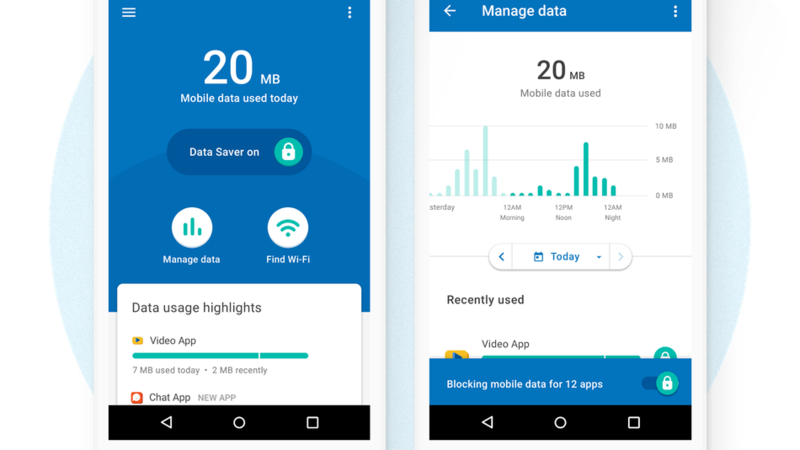 If you reach your daily data usage limit, you have the option to either ignore the notification or use Datally to block data use for the rest of the day. Next is Unused Apps. Research from Google shows that 20 percent of mobile data gets used up by background apps that supposedly remained closed for a month. The feature helps you discover Apps that leaks data, you can then uninstall them. Lastly, Find Wi-Fi. The App presents a map of every available Wi-Fi hotspot that is around you, it also shows you nearby businesses and locations. To try out this new features, Kindly download the Google Datally App from the Google App Store here.